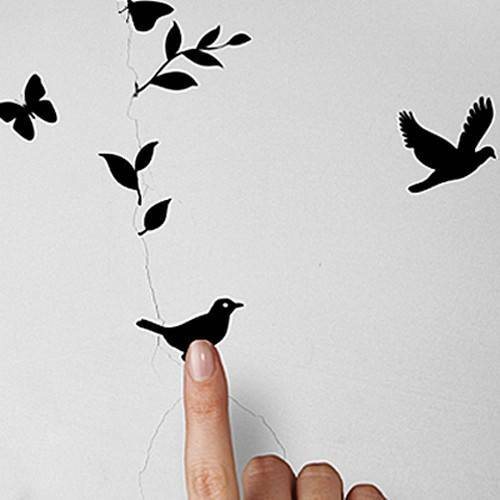 Small cracks can be used as inspirations for modern wall decoration and adding personality with creative designs to home interiors. 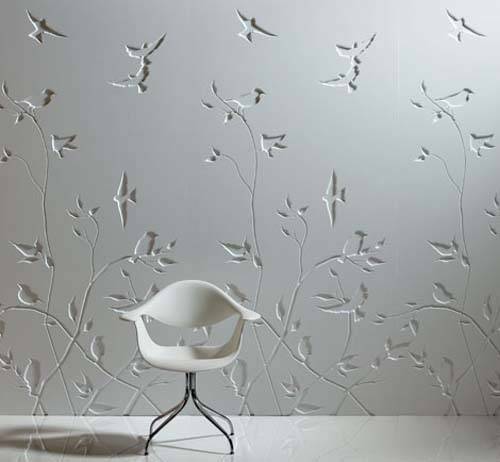 Lushome recommends a few interesting and modern wall decorating ideas for covering or masking small cracks and imperfections on walls. 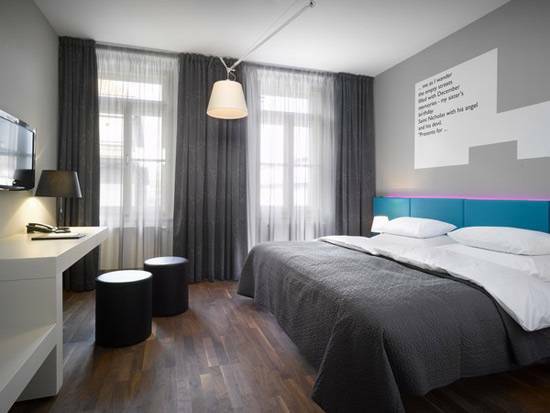 Surprising and beautiful wall decor ideas demonstrate how your can bring unique character into your office or living spaces. 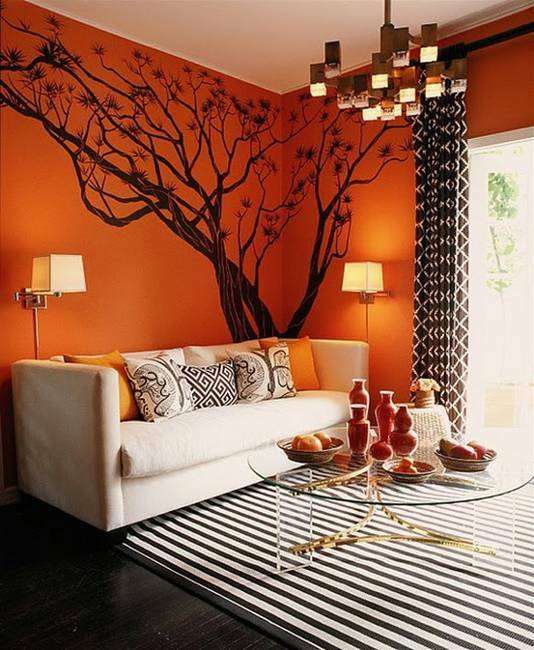 If you have a slightly damaged wall, imperfections or small cracks in a wall, and do not know how to cover or mask them, these wall decoration ideas may inspire you to experiment with unusual and creative ways of interior decorating. 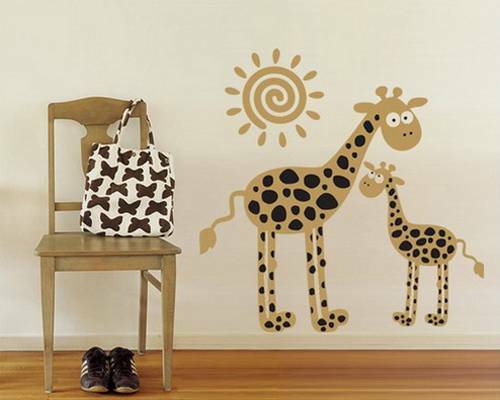 There are several clever wall decor ideas that can help cover small cracks and imperfections. 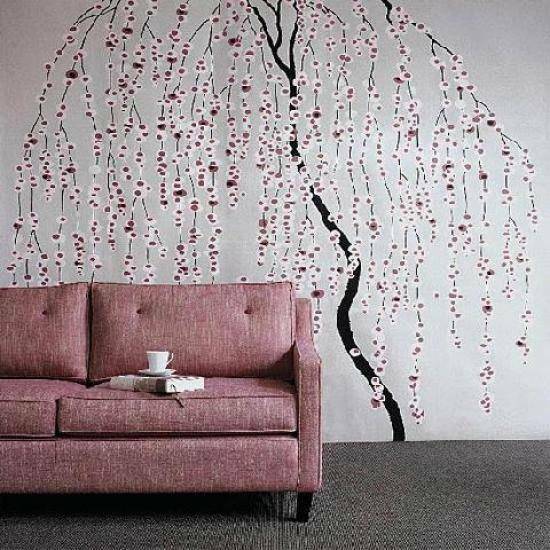 Televisions or phones wires that create attractive wall designs are one of them. 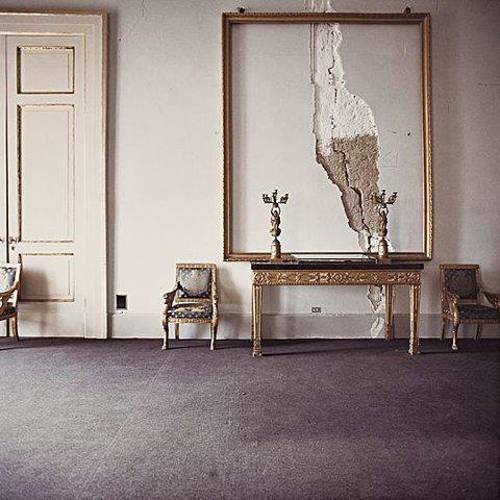 Cracks can be framed, adding unique art work to modern interior design also. 1. 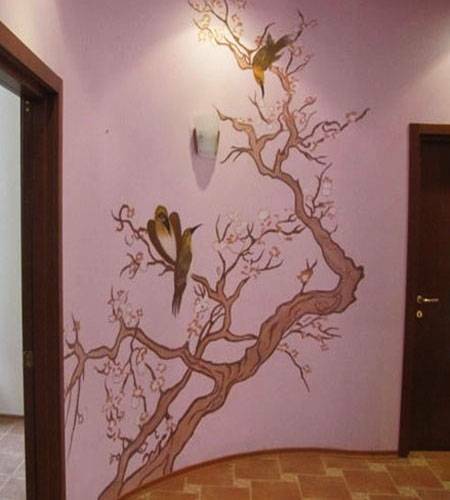 Cables and wires that create interesting designs on the walls, – tree branches, various ornaments, meaningful letters and numbers covering wall cracks. 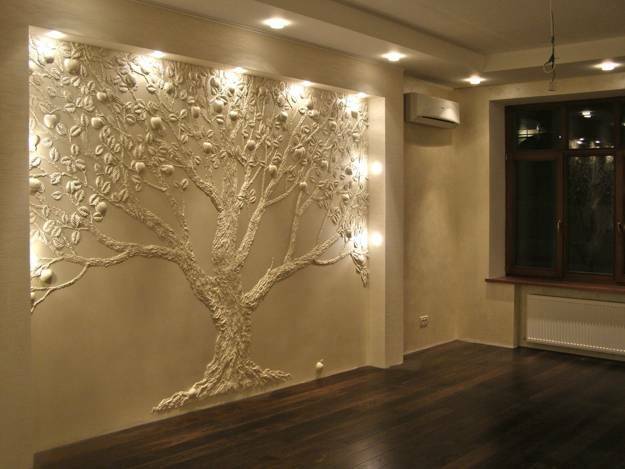 Combined with LED lights, cables and wires beautify walls while covering small cracks and decorating walls at night also. 2. 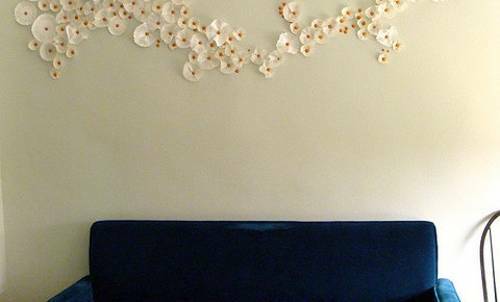 Adding paper crafts, metal wire artworks or wood decorations, like old ladders or shelves that cover cracks is another option for modern wall decoration. 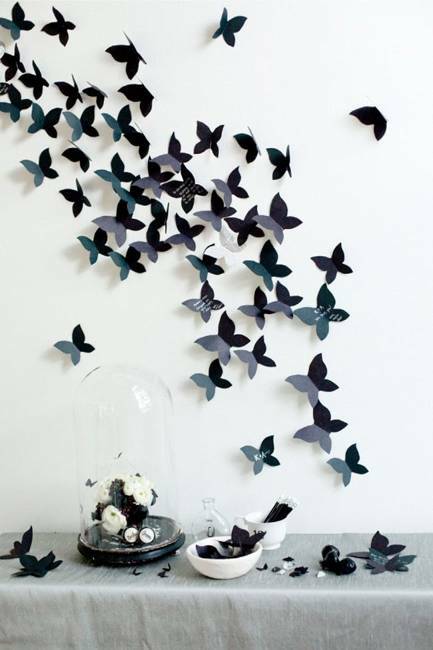 Charming, colorful or in neutral colors flower designs, birds and butterflies decorations can be used to cover small cracks before your repair your walls. 3. 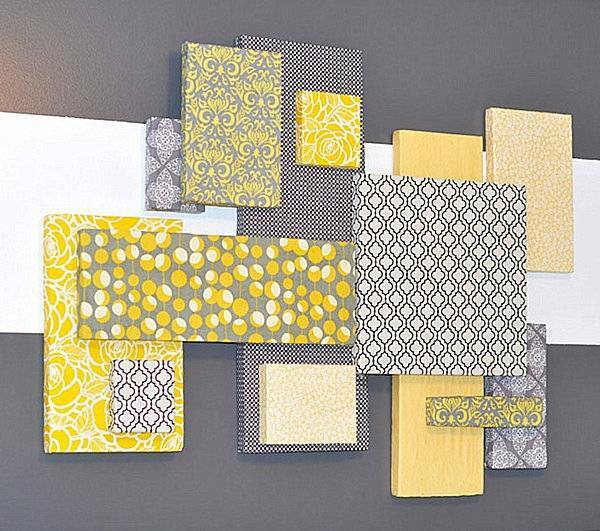 Decorative wall panels created with modern wallpaper or fabric leftover pieces, large painting and artworks are beautiful wall decorating ideas. 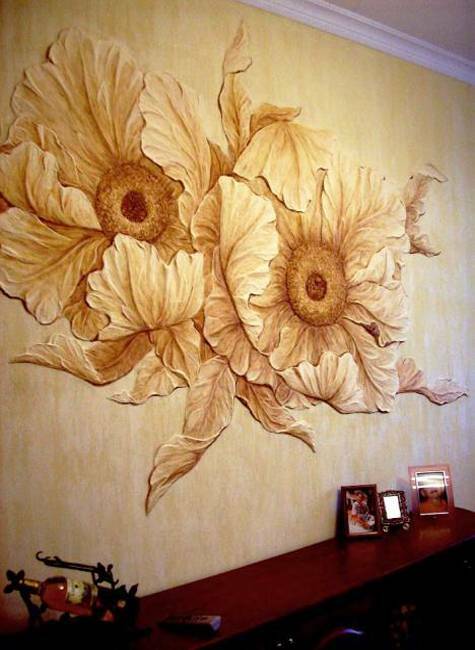 Decorative wall panels, and artworks can be used for covering bigger cracks and wall imperfections. 4. 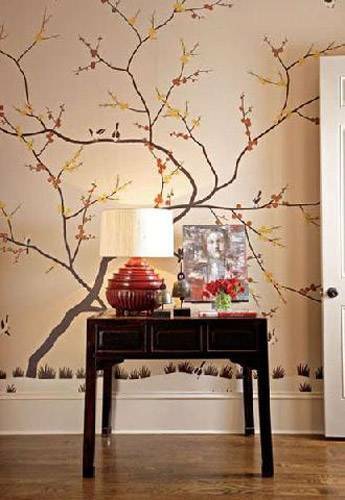 Creative painting ideas and decoration patterns that repeat crack lines can hide cracks in walls and add a striking accent wall to modern interior decorating. 5. 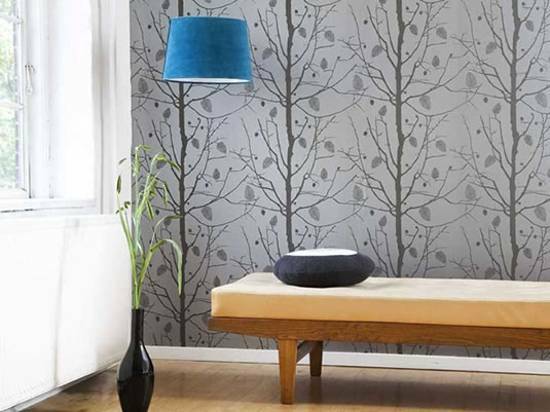 Covering a part of your empty wall with modern wallpaper is a quick, cheap and stylish way of wall decorating. 6. 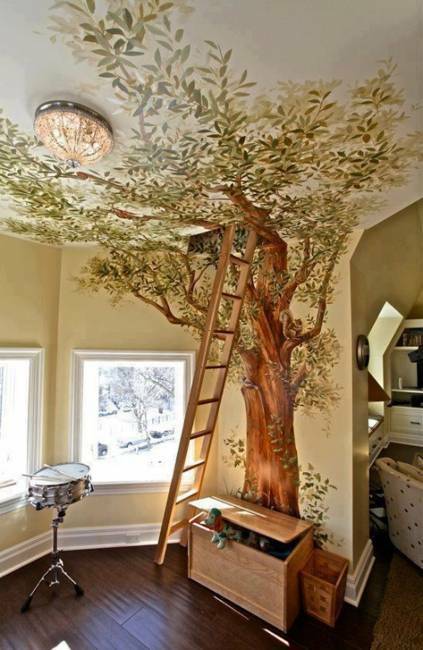 Painting ideas that add tree branches to your wall are effective and beautiful ways of creative wall decoration. 7. 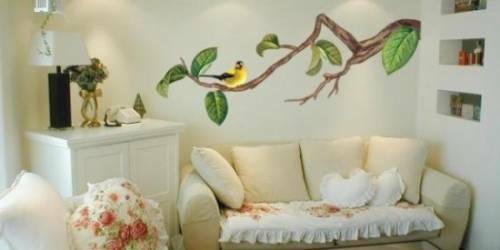 Wallpaper appliques and wall stickers in various bright colors add character to modern wall decoration and personalize your walls. 8. 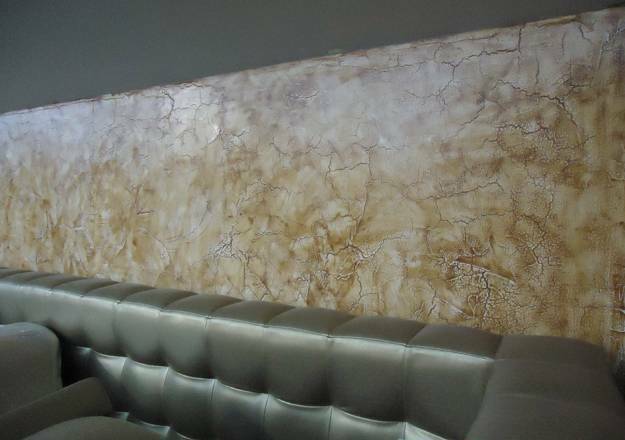 Wall cracks can be covered with a curtain panel or a rain curtain. 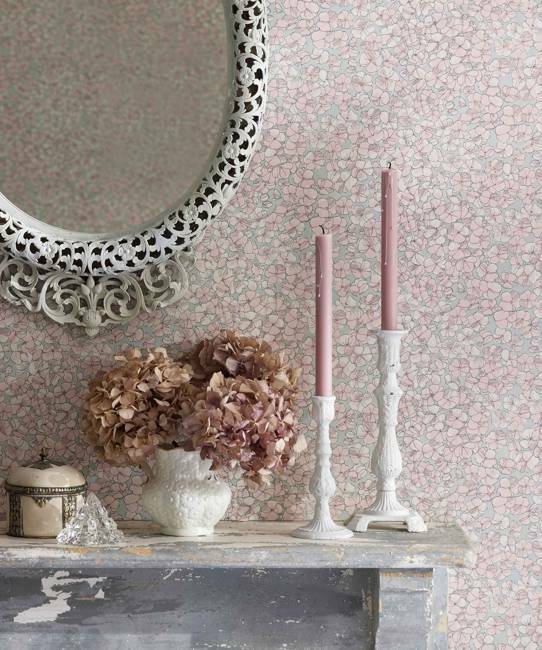 Bright tapestry fabrics or curtain fabric in solid light neutral colors are wonderful techniques for romantic wall decorating. 9. 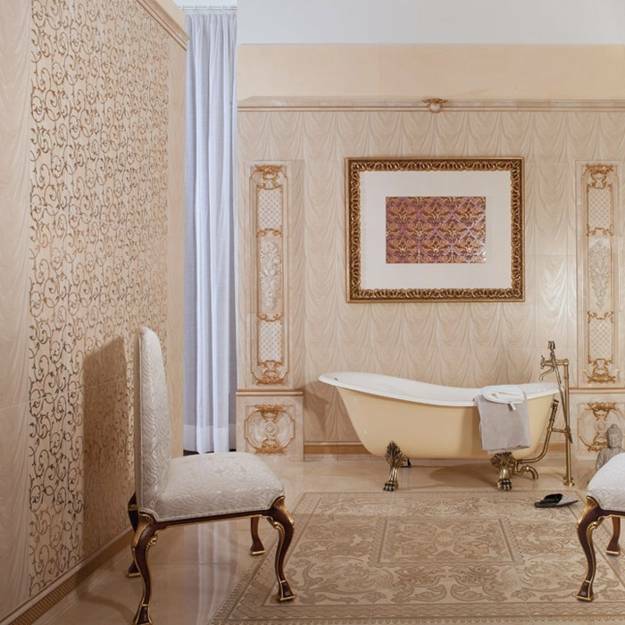 Wall mirrors in attractive frames and wall clocks are great decorative accessories and functional items that beautifully personalize interior decorating. Wall mirrors and wall clocks are versatile and modern wall decoration ideas that suit any room size, interior decorating style or color scheme. 10. 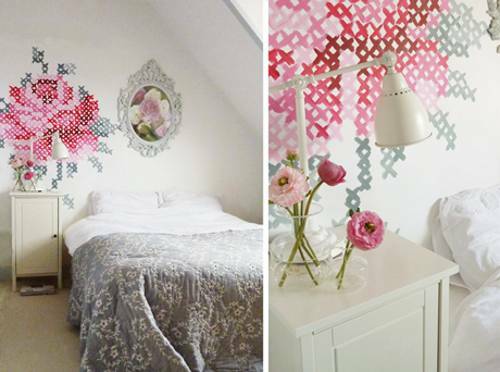 Using tape for creating surprising cross stitch designs on the wall is a novel idea for wall decorating. 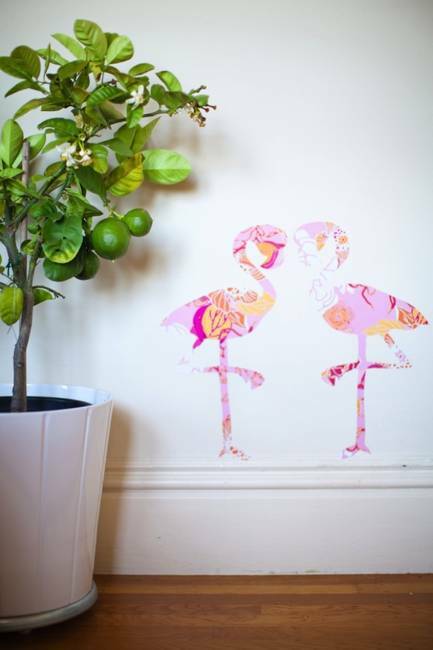 Colorful tape pieces, inspired by cross stitch embroidery designs look playful, unusual and interesting, covering cracks and bringing personality into modern interior decorating. 11. 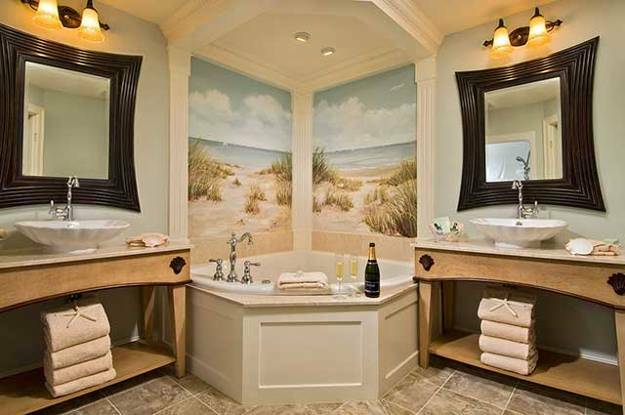 Photographs displays are a meaningful and romantic way to decorate walls.